Get juicing at a few of these suggested stops. Alchemy Juice Bar + Cafe on Parsons Avenue features house-made juices on tap and in the bottle. 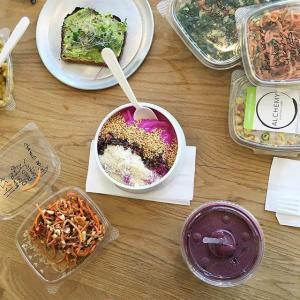 They range from green and sweet to coffee and chocolate flavors, and have a full menu of healthy bowls and sandwiches, too. PurePressed Juicery downtown offers juices focused on different ingredients, like the Green Simplicity with apples and kale, to the Drop-A-Beet with beets and carrots. They serve sweet versions like cold brewed coffee and vanilla almond as well. 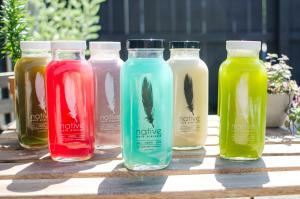 Native Cold Pressed in Short North serves fresh bottled juices in simple flavors (just apple, just orange) to more complex combinations based on greens to apples to beets and more. 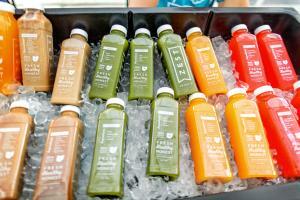 You can even order pre-packaged juices cleanses to help jumpstart your body. Bubbles Tea & Juice Company has several locations – including North Market, Polaris Fashion Place and Easton Town Center, to name a few – where they serve fresh-squeezed juices that you can customize for on-the-go sipping. Choose your ingredients, then they’ll squeeze the juice, cap it, and stick a straw in it, so you’re good to go. Zest Cold Pressed Juice Co. has a range of fun juices with catchy names, like the Sweet Potato Cider, The Lush (pear, apple, cucumber, lemon), and the Habanero Heat. 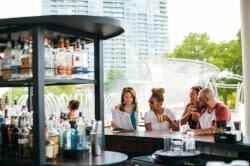 They’ve started strong in Grandview and Dublin, and now include spots in Short North and Easton recently opened. Berry Blendz in the Gateway University District offers Ohio State students the chance to stay healthy with straightforward juice mixes like wheatgrass, carrot-orange, or the Veggie Energizer with carrots, celery, cucumber, and beets.